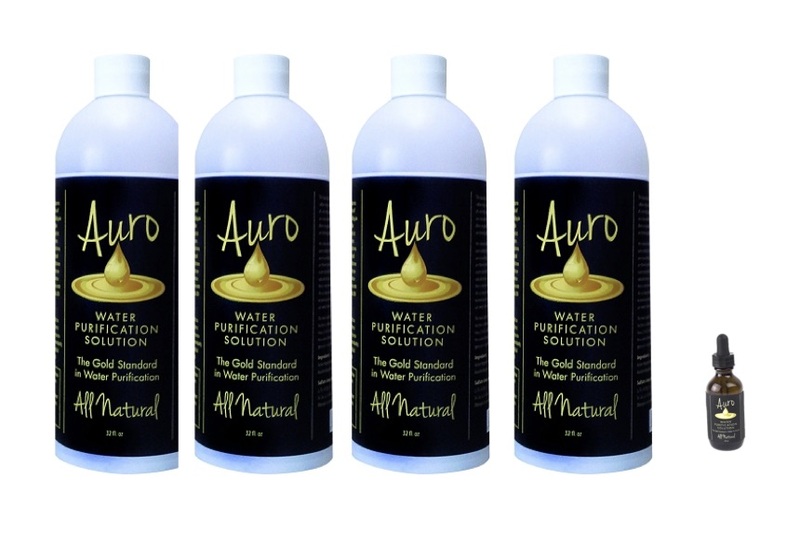 Auro Liquid Gold purifies water, making it safe and healthy for you and your family. 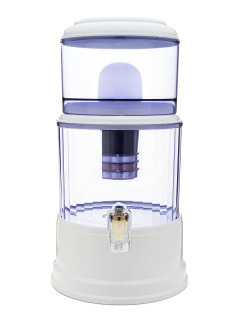 Its unique formulation neutralizes over 250 contaminants allowing them to be filtered out of your water, without the use of chemicals or other synthetic substances. 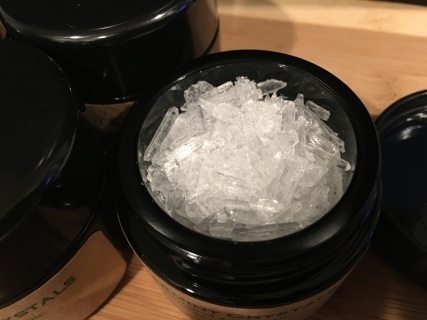 Adds 70-102 ionic minerals. Structures your water. 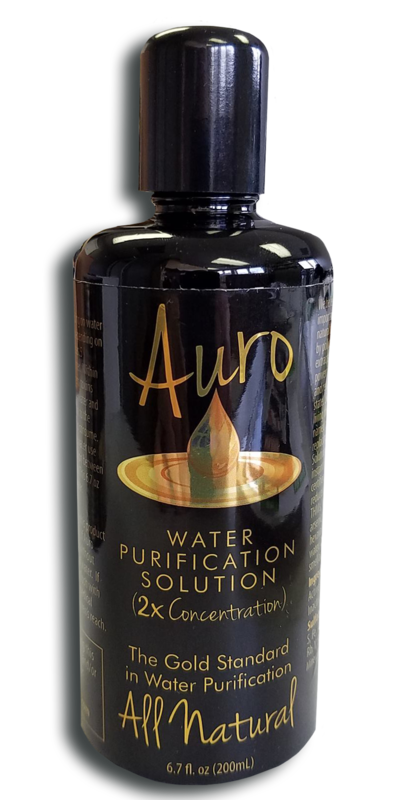 A 32oz + 2oz of Auro will treat up to 265 gallons of water. 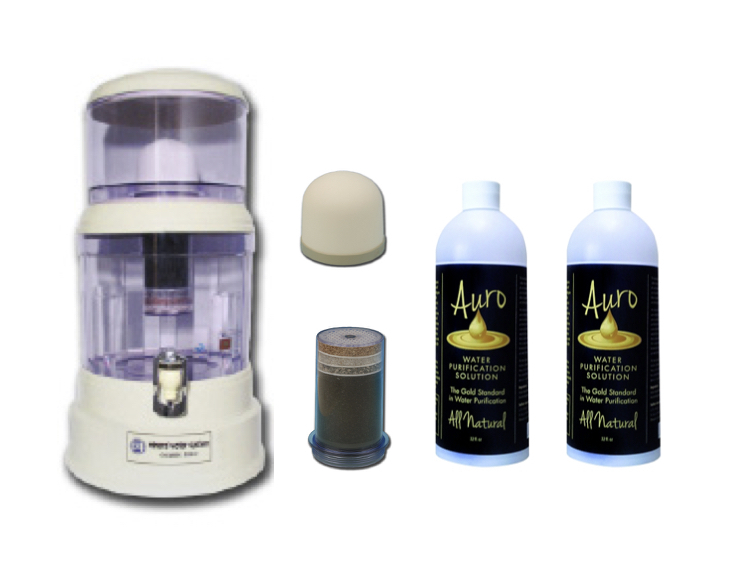 Get your package today, Miron Glass 32oz bottle, all for $136.95 with free US shipping (value: $165). 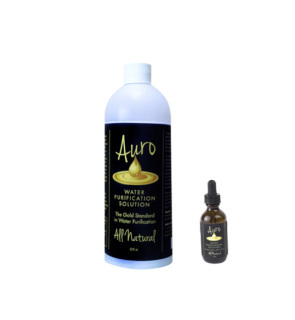 This package of Auro will treat up to 515 gallons of water. 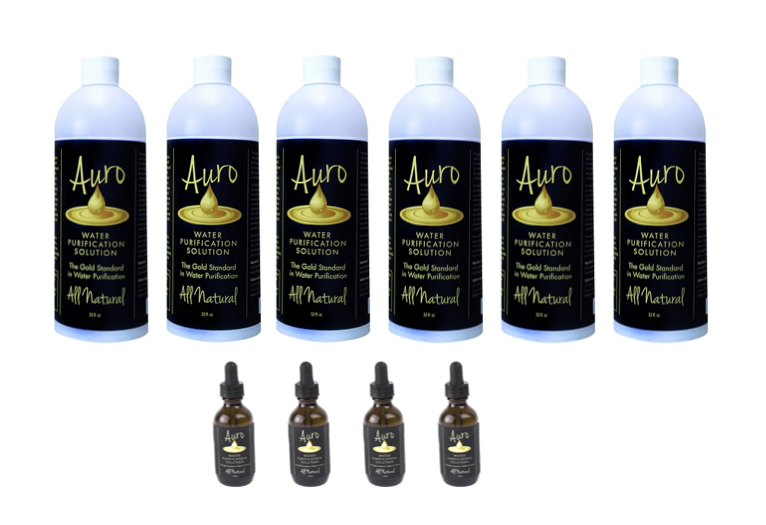 Get your package today with a Free 2oz of Auro, all for $199.95 with Free US shipping (package value: $292). Auro Gold Magnetic Sulphate Minerals, package lasts up to 810 gal of water. 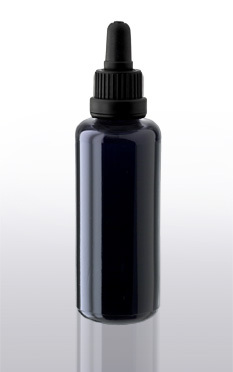 This package treats 1,015 gallons of water. 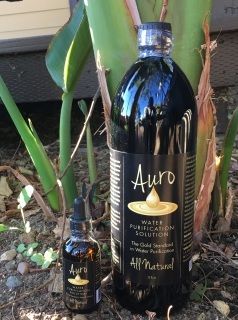 You receive 4 bottles of 32oz a Free 2oz + Free shipping within the US. Auro Liquid Gold Sulphate Minerals, lasts up to 3,180 gallons of water. 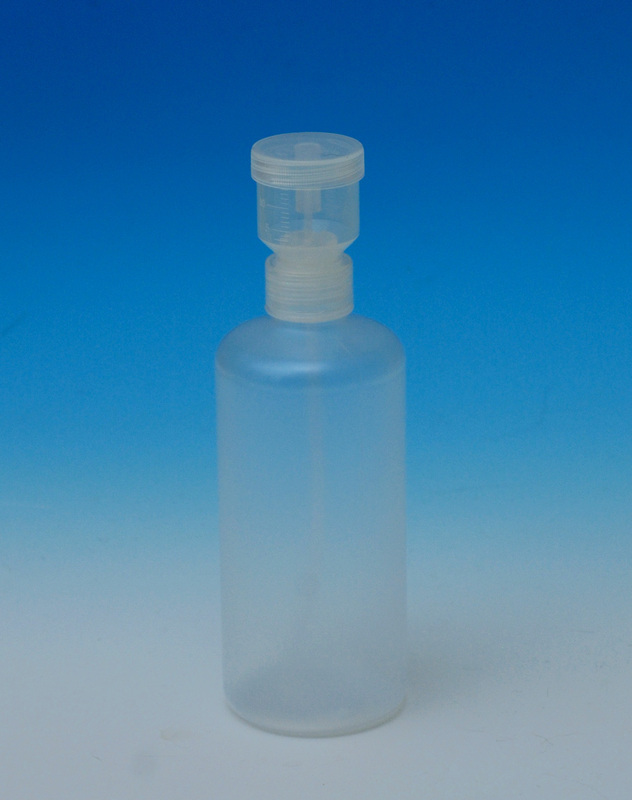 International Shipping Available, use link below. 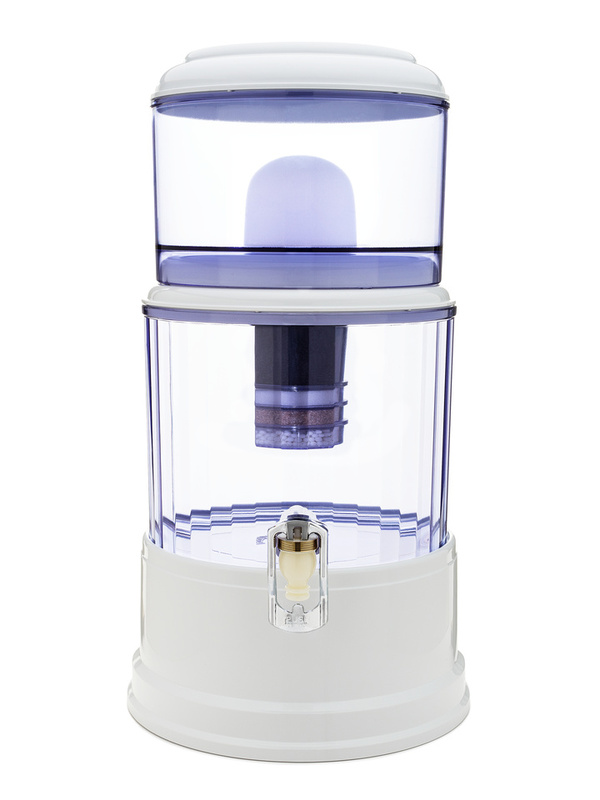 This free-standing, no electricity needed, gravity water filtration system includes a 0.2 micron ceramic filter, a multi-level filter of raw earth including activated carbon, and zeolites. This free-standing, no electricity needed, gravity water filtration system includes a 0.2 micron ceramic filter, a multi-level filter of raw earth including activated carbon, and zeolites, and 2x 32oz bottles of Auro Gold. (32 oz. 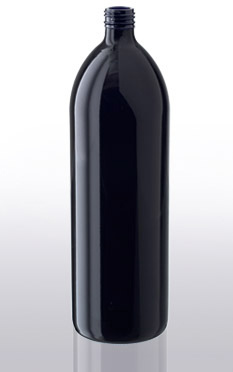 bottle - retail value of $125). 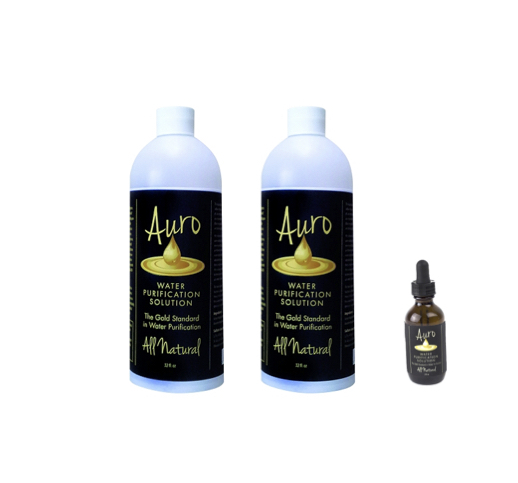 Special Easy Measurement Squeeze Bottle, Patented, 8oz: $24.95/ea (normally $30), will last forever, prevents wasting your Auro Gold, and will help you measure the exact serving per gallon. 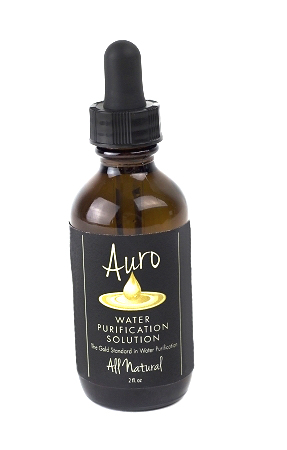 Miron Glass Water bottle- carry your Auro Gold treated water in this fabulous and sturdy glass bottle. 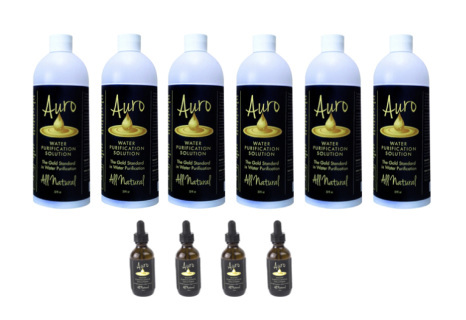 "RESIDENTS OF CALIFORNIA AND IOWA - DUE TO CERTAIN RESTRICTIVE WATER TREATMENT REGISTRATION LAWS, AURO GOLD MAY NOT BE SOLD TO RESIDENTS OF IOWA, AND MAY ONLY BE SOLD TO CALIFORNIA RESIDENTS FOR OUTDOOR AND/OR RECREATIONAL USES. 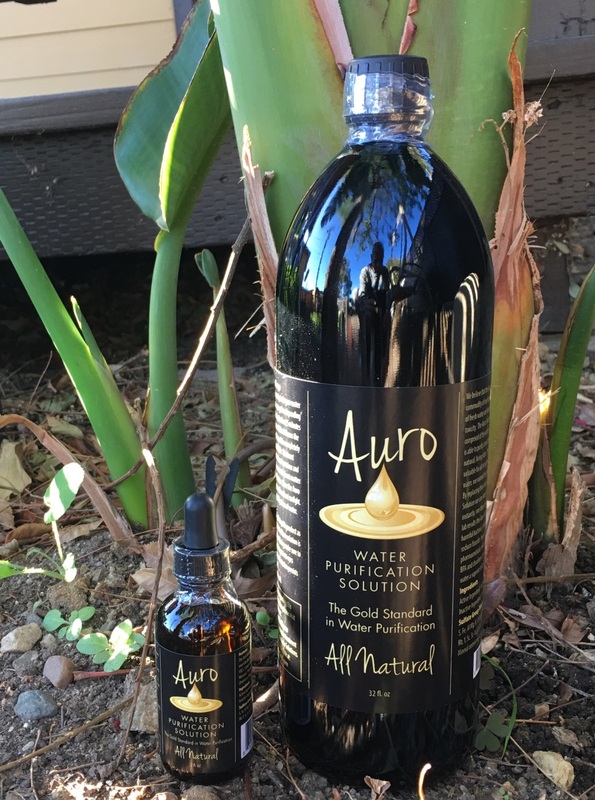 PLEASE ONLY USE AURO GOLD FOR OUTDOOR/RECREATIONAL USES IF YOU LIVE IN CALIFORNIA. 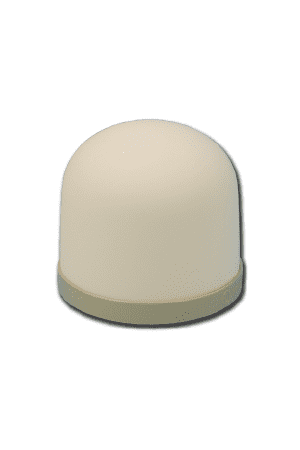 For more information please reference http://www.cdph.ca.gov/certlic/device/Pages/WTD-FAQ.aspx." 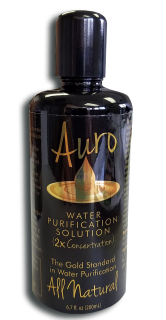 "THE AURO PORTABLE WATER FILTRATION UNIT AND REPLACEMENT FILTERS ARE NOT AVAILABLE FOR RESIDENTS OF CALIFORNIA OR IOWA DUE TO CERTAIN RESTRICTIVE WATER TREATMENT REGISTRATION LAWS. For more information please reference http://www.cdph.ca.gov/certlic/device/Pages/WTD-FAQ.aspx." 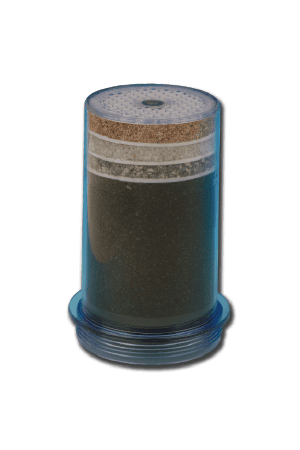 California Residents - ONCE TREATED WE RECOMMEND FILTRATION WITH AN OUTDOOR/RECREATIONAL FILTER"